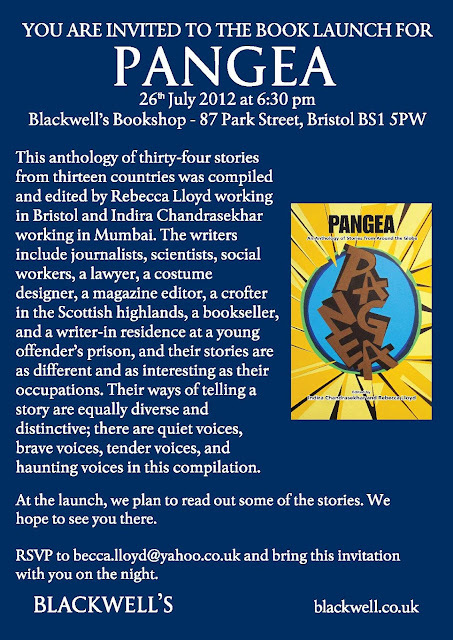 This post is the eighth on the Pangea blog tour (updated links here), and so many of the writers have had a chance to talk about their work – and about being part of Pangea. Tremendous, really! 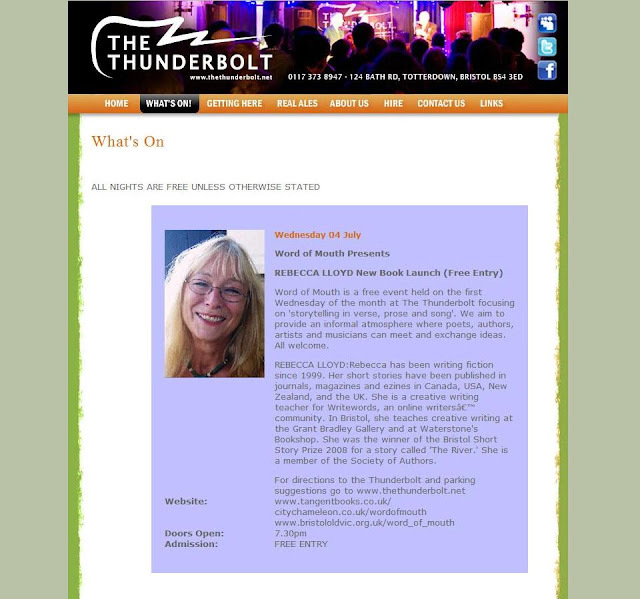 To think that when we began our first email conversations about the anthology, Rebecca and I had no idea whether we would find enough stories to make up an entire book (which is silly considering what a number of lovely writers there are on Writewords), let alone getting a publisher, and marketing the book. 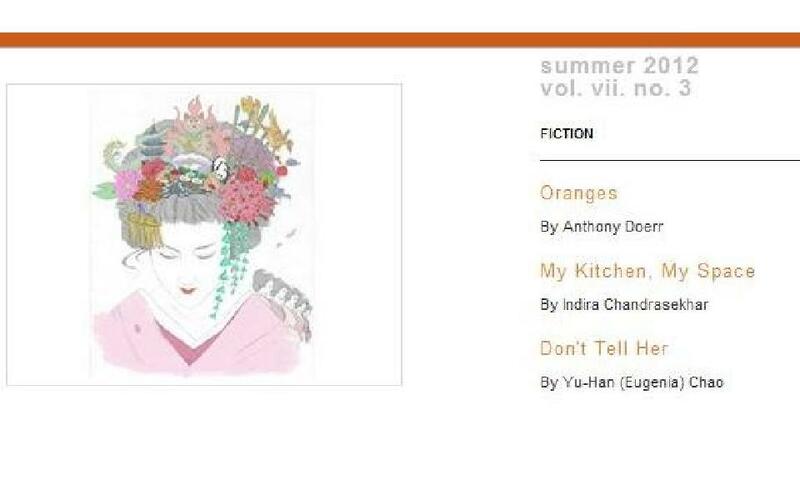 It’s wonderful having it released and visible, and hopefully being read. 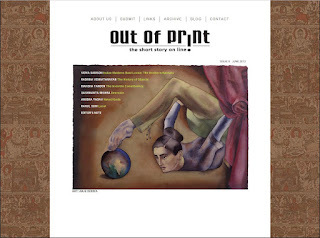 I spend a lot of time as, I presume, many of you reading this post do, immersed in short fiction. In my case, reading, writing and editing stories. 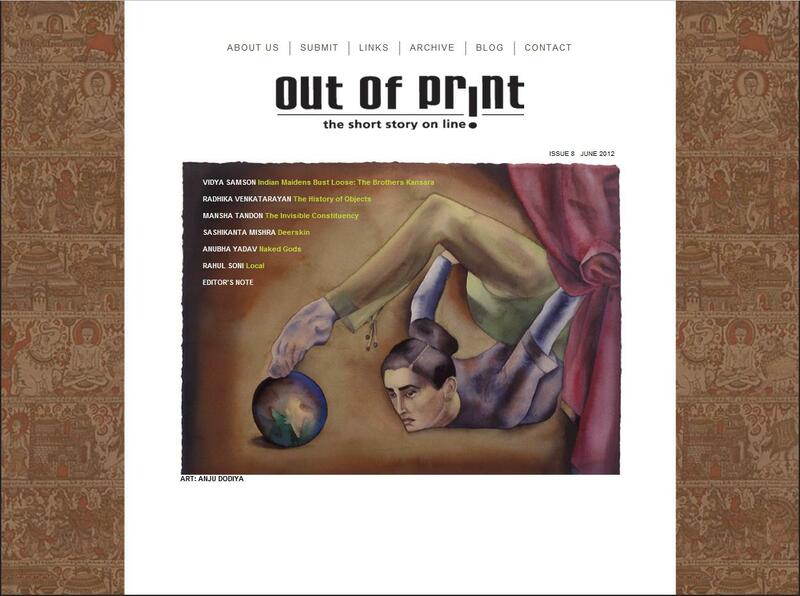 Editing for Out of Print, the short fiction magazine I run is akin to but different from the experience with Pangea. 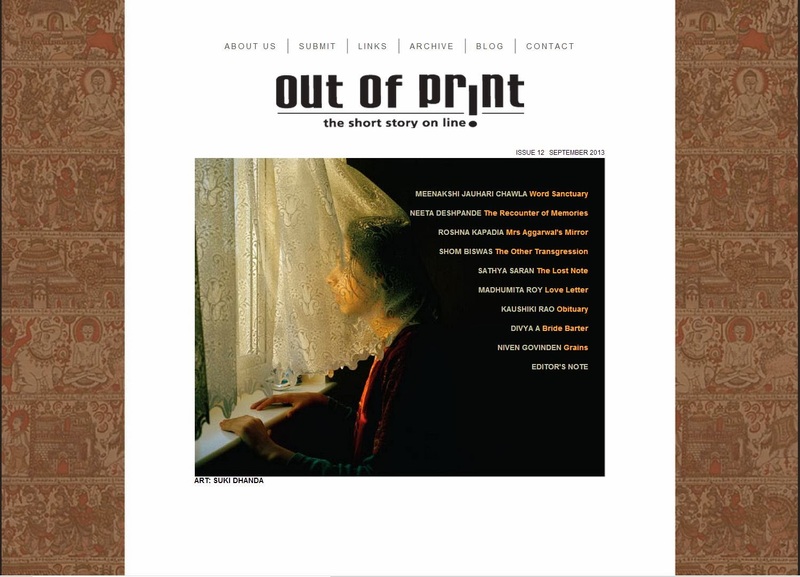 Out of Print appears quarterly, we get a range of stories, and each quarter, of the best we get, we choose the ones we like and that we think work together. We examine these for grammar and style. Sometimes we are invasive, but more often than not, we maintain some distance from the story when editing it. 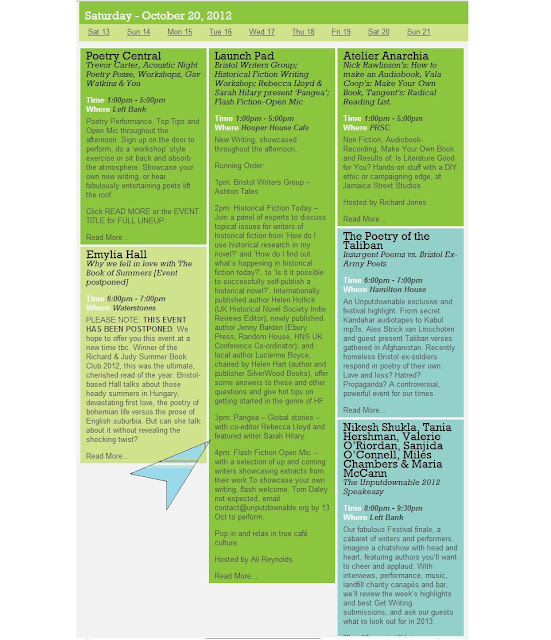 The idea, after all, is to showcase the range of work we receive. 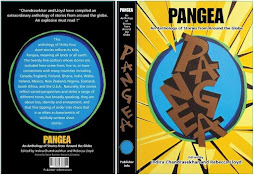 With Pangea, however, because we were trying to create a coherent piece of work with consistency in quality and sharpness we read each story with acute engagement, and with, may I say, an intimate eye. The collaborative editing process Rebecca and I devised was careful and exhaustive. The stories were distributed between the two of us for the first read. Each of us identified stylistic as well as grammar and punctuation related questions that struck us, and offered solutions. The story was then passed to the other editor, and then back, going through as many cycles as was required to make it satisfactory. While the process was thoughtful, it also developed organically and at one point we had a ridiculously elaborate yet reliable colour code that also made use of both lower and upper case letters. I am not sure the authors would have been reassured had they seen one of their stories marked in red, blue, green, lavender, pink…. During that intense period of interaction on the works, not only did the colours make complete sense and help us keep track of our comments, but the excessiveness of it was funny. Might your pink comma in the middle of the blue sentence in the green paragraph be replaced by a semi-colon? – bizarre avatars of McCall Smith’s German professors? 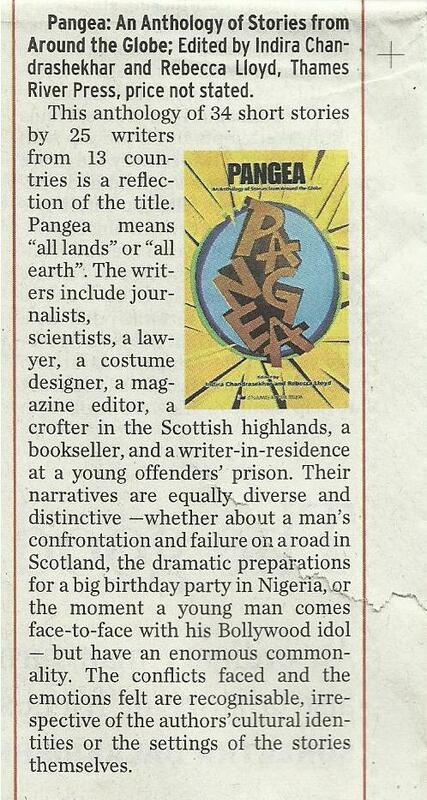 No not at all, just the Pangea editors at work. When the editing was done, I realised that I had invested my creative energy in a way that was having consequences on my writing. Having the editors eye so on the alert while writing myself was obstructive and it took me some time to get back into an easier flow. Despite that, I loved it. Harold Ross, founding editor of the New Yorker is known to have said, ‘Editing is the same as quarreling with writers--same thing exactly’(1). That was in the early part of the 20th Century. 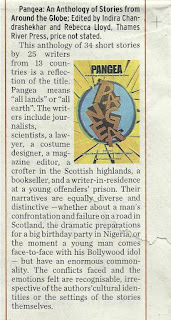 Whether it is because it is a different time, place, product, or type of writer, our experience with Pangea was the opposite: civilised and respectful and rewarding. Negative things have also been said about editing an anthology. The University of Iowa Press for example, has this on their site, ‘The truth is that you're not going to make any money or advance your professional career and you will spend an enormous amount of time organizing and collating your material.’ (2). Although, they do continue in the next sentence with, ‘But still there is something satisfying about creating a collection that adds up to more than the sum of its parts, about articulating an idea that is dear to you, about carrying this idea out until it becomes a solid book.’(2). I think putting together an anthology is akin to curating an exhibition. Every piece of art is chosen with care and juxtaposed thoughtfully and reflects the sensibilities of the curator/s; and together, the pieces have a meaning. One of the exciting milestones in the Pangea process was finding a publisher, especially one with a connection to both India and the UK. It seemed so very appropriate – I live in India, Rebecca in the UK and we were looking to find someone who would understand what bridging worlds is like. Unfortunately, the extraordinarily serendipitous connection isn’t something we have been able to avail of to the fullest extent – the book is not out in India yet. In early 2011, Chandrahas Choudhury said on his highly regarded blog, The Middle Stage: India’s book economy is, however, on a different arc, from that of the West and, like the Indian newspaper industry, is still on its way up rather than down. For an observer of Indian literature in English (for the purposes of this essay, I include under “Indian literature in English” both work originally written in English and that translated into English), the last decade was full of bright lights on all three counts of publishing, book-selling, and the density and internal diversity of the idea of literature and the spread of a reading culture. (3) A year and a half after that essay, there are even more publishing houses than those listed by Chandrahas that are bringing books out in India – Aleph, Hachette India, Bloomsbury India to name but three. 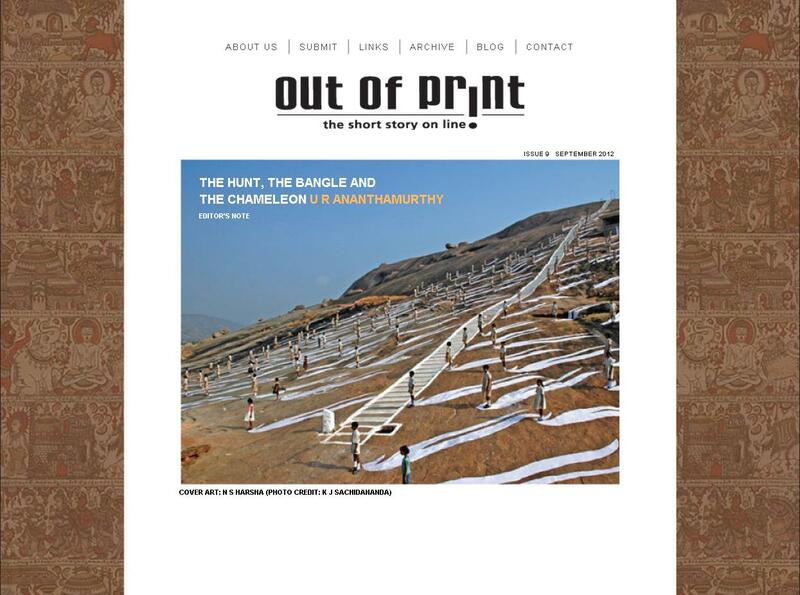 It is an exciting time to be writing, and an exciting time to be published in India. 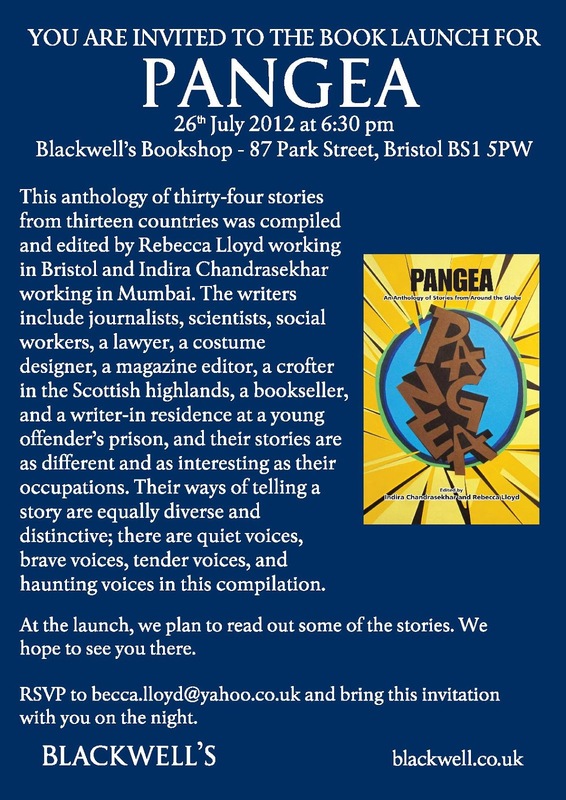 And Pangea will be released here soon, we have been told. Would I do another anthology? Yes. It was acutely rewarding and I would love working with Rebecca again. And discovering wonderful new writing is always exciting. 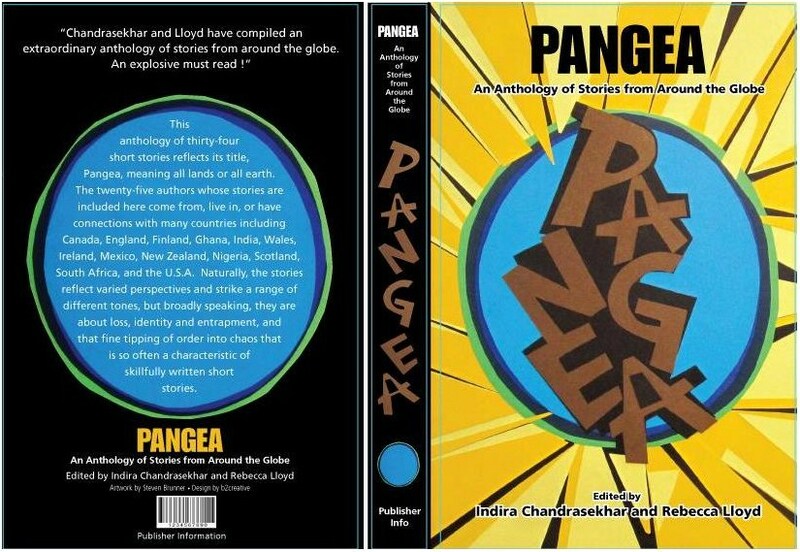 Thank you, once again, to all our Pangea writers for their contributions. My Kitchen, My Space on the r.kv.r.y. site. 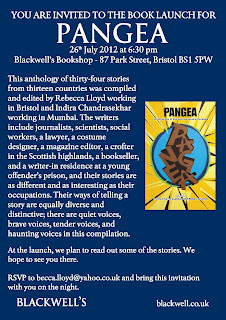 Pangea may be purchased at Blackwell's Bookshop, from Thames River Press or on Amazon.